Whilst we were visiting New York City last summer we only ventured into Queens twice. The first time was landing at JFK Airport which is situated in Queens, and we did see a little part of Queens as we got on the bus to the City. We were able to see some affluent areas, but also a number of areas which appeared deprived. However, these could be just the perception of our own version of what a deprived area looks like where we live. The second time was via the subway as we went to a New York Mets game on our final night in the Big Apple. 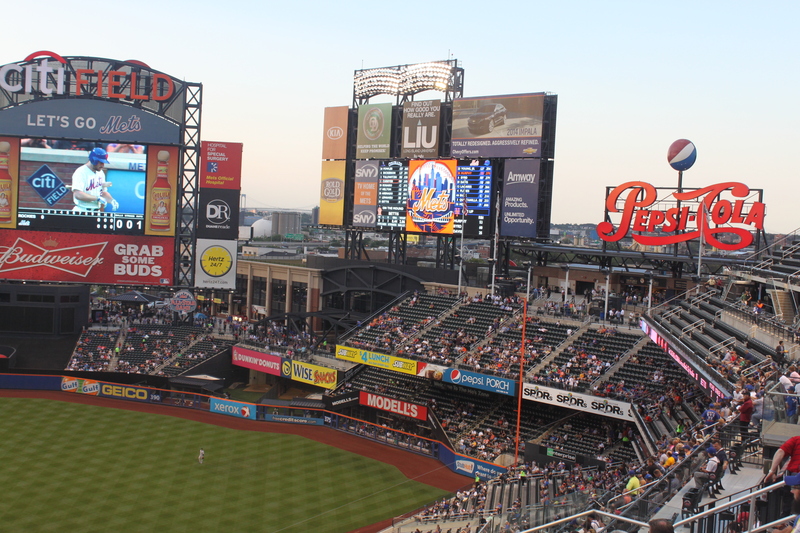 The Mets play at Citi Field in the Flushing Meadows Park. It was only a short walk from the subway stop to Flushing Meadows. I’ve mentioned this in a previous posting. None of us knew anything about baseball but we’d decided we wanted to try and experience as much of the American culture as we could. This included American sports. Ideally we would have loved to catch some NHL hockey whilst on our adventure, but we were there in the off season. So, baseball was the only sport we could experience during the month of August. This entry was posted in Blog, USA and tagged blogging, Mets, New York, New York City, NYC, Queens. I’m a baseball fan, so I have to ask: who were they playing?